Are you still here? I'm back! I started blogging less when I became a producer for Yahoo Philippines (rest in peace) in 2014. I completely stopped blogging in May 2015. I lost the fire I had when I started this blog 7 years ago. Taking note of everything and thinking about being on "blogger mode" took a toll on me. I wasn't enjoying my trips and adventures as much because of the need to document and write. I love taking photos more than writing and my brain and heart just refused to write for the blog. My blog felt like a chore rather than a natural extension of me. I took a leave. I was thinking of giving it up entirely because of the effort it took which I wasn't sure I had the heart to do. My blog has stayed the same and hasn't taken off or evolved. What's the point of continuing? I realized that I could care less about reach right now, that wasn't my intention for putting up the blog in the first place. I made a blog to share and help people. I am back from hibernation and decided to change the way I blog. I will still post about my adventures but don't expect the articles to be as extensive as before. Also expect more photo blog entries because I believe I shoot better than I write. You'll see the changes soon. I have a TON of backlog!!! I still owe you posts about the 2013 Epic Birthday Trip (Greece, Italy, and Germany). I have more stories to share about El Nido, Cebu, Chang Mai, Pai, Sydney and of course food! 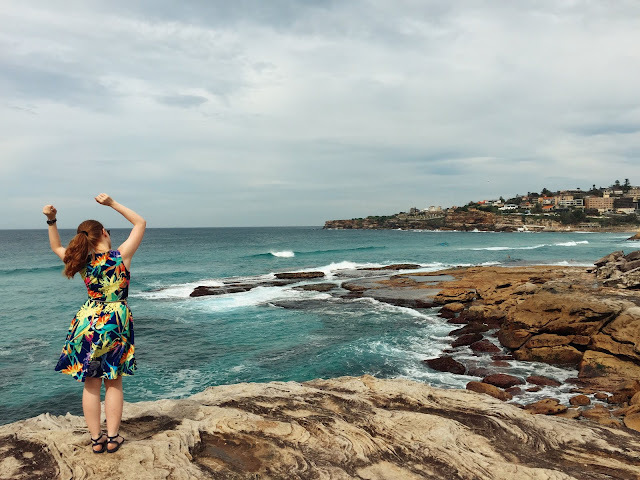 The blog hiatus enabled me to explore (some are dream destinations!) and just revel in the moment. So, if you are still here - MARAMING SALAMAT. I'm slowly feeling the fire again and excited to share the good, the bad, and the ugly. PPS What do you think of the new blog design? PPPS I'm on instagram too!